Attractive appearance which can be used with a shower curtain or doors. Will save you thousands over conventional replacement. Increases safety by reducing the chance of falling. Excellent choice for elderly, handicapped or disabled. Your bathroom is an area, where the chances of slipping are higher for elderly people. Just trying to lift a leg over the side of the tub and turn disastrous. This is where we can help. 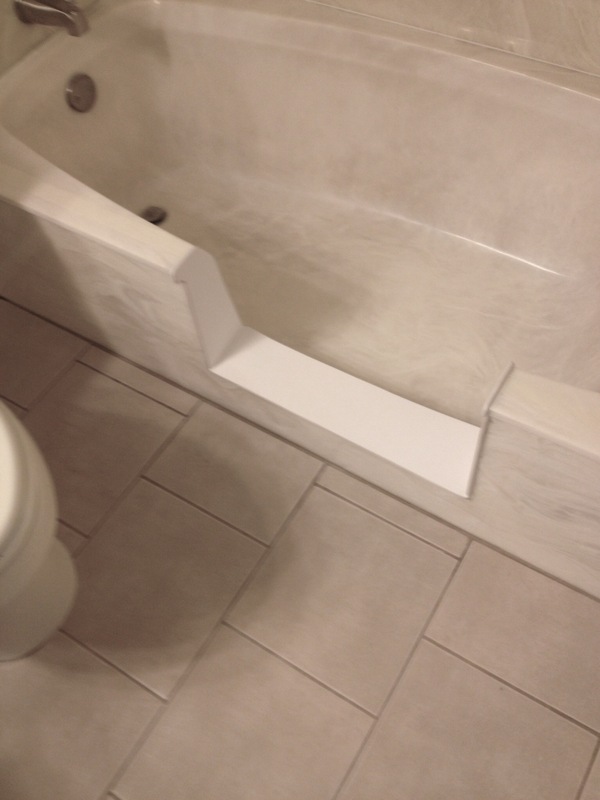 By cutting an opening into the side of your bathtub, you can easily just step inside. No more climbing over the wall. Essentially this converts your bathtub into a shower. It’s not just the elderly that have trouble getting into a bathtub. Disabled and handicapped persons have the same issue. Anyone with limited mobility who tries to step into a regular bathtub has a challenge due to the height of the front facia of the bathtub. Sure, you can have a full remodel to take out the bathtub and replace it with a shower kit. But, you will find that is expensive. Would you be interested in an affordable solution? While the bathtub cutout is affordable, it’s also quicker than a full remodel. 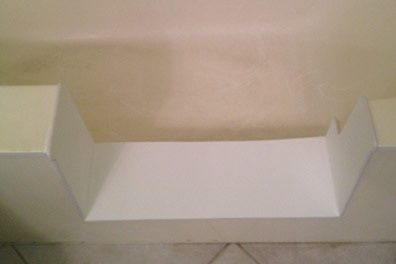 A simple process of converting a standard bathtub into a walk in shower, by cutting out the front section of the bathtub. Then the tub is refinished with a material to seal up the exposed cut out. The step-thru access can be any size depending on the customers’ need, allowing the elderly and handicapped to bathe with dignity. 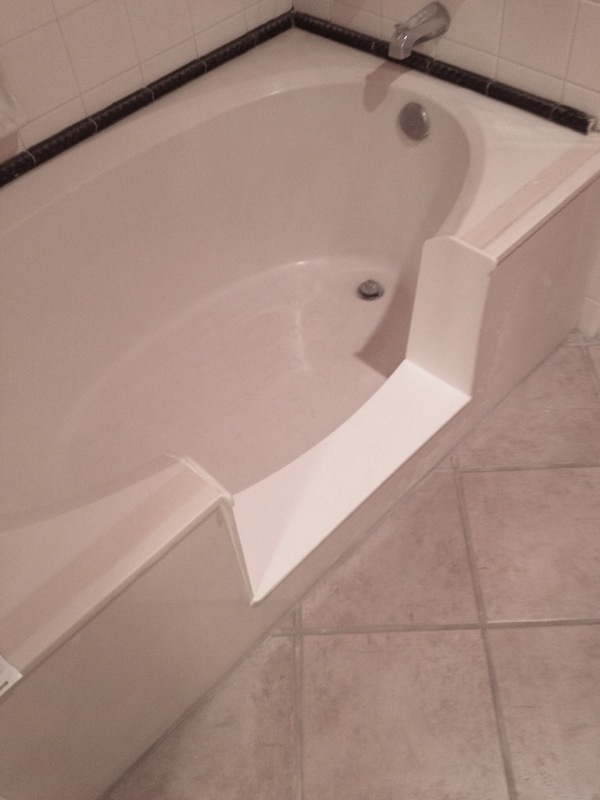 Walk in Bathtubs, also known as handicapped bathtubs or accessibility tubs, are bathtubs with a built in door. 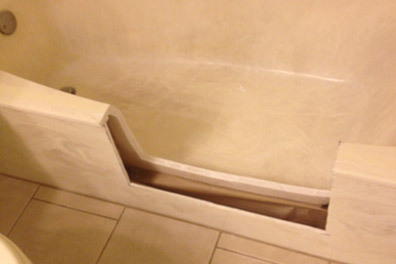 Your bathtub can be cut and converted to operate like a brand new handicap walk in bathtub. Although yours won’t have an actual door. It’s just a doorway to walk through. This is a great solution for your independence in the bath and maintaining your safety without breaking your budget. Once the cut out and conversion is done on your bathtub, a shower curtain is all that is needed to keep the water in, just like a shower stall. 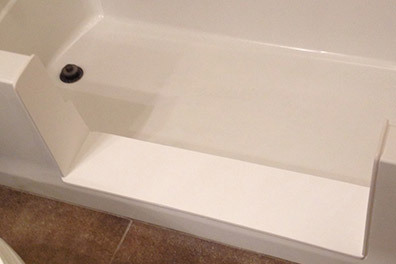 Still not convinced that modifying your bathtub, by performing a bathtub cut out is the least expensive and quickest way to solve the problem of getting into and out of your tub? ●	This innovative step can be installed in any tub including fiberglass, steel and even cast iron. ●	Economical – is a fraction of the cost of remodeling. Why wait to begin your bathroom renovation? Our economical, efficient bathtub to shower conversion is the perfect choice for households of all types. Call us at 623-210-0720 or fill out our online form on our Contact Page to schedule your in-home estimate today! 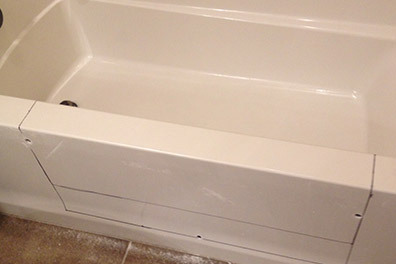 A tub to shower conversion is an ideal option for homeowners who may no longer need a bathtub in their homes, as well as for those who may have difficulty stepping over a bathtub partition and are looking for a safer alternative. We service the entire metro Phoenix area. Including Glendale, Mesa, Peoria, Tempe, Scottsdale, Anthem, Avondale, Buckeye, Carefree, Casa Grande, Cave Creek, Chandler, Chandler Heights, El Mirage, Fountain Hills, Gilbert, Goodyear, Guadalupe, Laveen, Litchfield Park, Luke Afb, New River, Paradise Valley, Sun City, Sun City West, Surprise, Tolleson, Waddell, Wickenburg and Youngtown.